Sadly, in a nutshell, we don’t recommend FatCow, for a LOT of reasons with the main ones being security and support. Let’s run through a few problems we found. Yup, you’re seeing that right, their own website is not secure… Do you really want to purchase a hosting plan from a web host whose own site does not have a decent SSL certificate? This is crazy! Support: There are quite a few complaints about their support attitude floating around, way too many to ignore. Everything from big delays in support responses, to rude responses from the support staff. Speed: They’re slow, which is really bad these days as Google wants speedy sites and gives them higher positions in their rankings… on top of that research shows that you can lose 10% of your visitors for every second your site is still loading… A massive no-no! So what we’re really saying is… there are a lot of web hosts out there that are a lot better at pretty much everything! Avoid Fatcow! Instead, check out our comparison of the best web hosts for the US. If you’re somehow still interested in FatCow, keep reading below. FatCow, what a fancy name! So what is the company all about? FatCow started back in 1998 and provides web hosting services for a variety of small- to medium-sized businesses. It is again owned by the web hosting giant, Endurance International Group (EIG). The said conglomerate owns other web hosting companies such as BlueHost, HostGator, Arvixe, and iPage. Their headquarters is located in Albuquerque, New Mexico. The company has two data centers around the Boston, Massachusetts area. The two data centers have a combined area of over 2400 square feet. The company provides various products and services including one web hosting plan (The Original Fat Cow Plan), WordPress Hosting, VPS Services, Dedicated Servers, and Domain Registration. At some point in time, FatCow was recognized by Web Hosting Magazine as a “Top 50 Editors Choice Award” winner. By July 2009, FatCow announced that their offices and data centers are powered 100% by wind energy. This is in line with their commitment to going green. From 2008 to 2011, they donated a portion of their sales to the Breast Cancer Division of the American Cancer Society. The plan gives you an unlimited amount of disk space. Oodles as they call it. This means you are not limited by the amount of data you place inside your hosting account. A great feature if you need to host high-quality, large-sized videos and images inside your website. Bandwidth is also referred to as Oodles. Yes, this means, unlimited. If you have a large amount of traffic, unlimited bandwidth is necessary to accommodate every website viewer you encounter. You are not charged for an unusually large amount of traffic especially during peak seasons. This is especially useful if you have a large number of website viewers every single day. Unlimited mailboxes is another feature you can take advantage of. Each mailbox has a storage capacity of 500 MB or 10,000 email messages (whichever comes first). This means you can give each person in charge of your website (or business) their own email accounts. You are given a free domain name which can save you a few bucks from your pocket. You are also provided with point & click website building tools that allow you to create professional-looking sites without the need for coding skills or experience. Application installation wizards help you add various applications to your site with its easy-to-follow step-by-step instructions. You can also transfer your website for free if you have it hosted on another company. Saves you a few bucks, if you know what I mean. Plus, they have freebies too! You are given USD 100 Google Ad Credits and USD 100 Bing Ad Credits. These are useful if you’re into advertising your business on these search engines. If you want to sell online, you are given a multitude of features to do so. These include ShopSite Online Store, being able to accept credit cards, PayPal Shopping Cart Integration, PowerPay, and Shared SSL. Available applications include WordPress, Gallery2, phpBB, GBook, Joomla!, and Poll, Survey, and Counter Tools. Their Knowledge Base includes answers to FAQs and tutorials to using (or managing) their products and services. Phone support and online live chat are available 24/7. When it comes to reviews, their customer support service is very very bad. Most people were annoyed with long waiting times and long delays in between responses. Representatives were not knowledgeable about their products and services. Some were even rude wherein lines were cut off in the middle of the conversation. It seems like the superb customer support service FatCow promised to its customers has been broken. You get an unlimited amount of storage with their package. You don’t have to think about fitting X file into your hosting account every now and then. You can place an unlimited amount of large-sized files if necessary. Although they provide you with both phone and live chat, they still lack the robust customer support necessary to please customers. Most people were annoyed with long waiting times and delay in between responses. Their customer support team weren’t knowledgeable about the products and services of the company. Having poor customer support is surely a disadvantage we would want to take note of. They promised “unlimited” stuff on almost everything. Yes, that’s a big plus. But the downside is, they provide websites with poor loading speeds compared to that of the average. If your website loading speed is poor, it will lead to low search engine rankings. This is because Google favors websites with faster loading speeds compared to slow ones. Plus, poor user experience is another result of slow loading speeds. Your viewers will be frustrated with your website and will probably go to another website that can satisfy their needs. One downside to working with FatCow is their inconsistent uptime record. Well, they didn’t guarantee an uptime anyway! A company with no uptime guarantee is one provider you should steer clear of. Most reviews stated that there are times when FatCow provided a good uptime. Although, there are days (or even months) wherein they experience downtimes. It’s just like a roller coaster ride and you don’t know if a certain day would be a good day or not. A roller coaster ride isn’t something you would want for your website right? You don’t want to keep guessing every single day just to know if your website is going to be down or not. On top of it, inconsistency would also lead to inconsistency in sales and worse, frustrated customers. Yes. We did add in the pros section that they offer unlimited bandwidth, emails, and storage. But, here’s the downside: it’s not really unlimited. When you’ve passed the actual limit where FatCow thinks you have used up too much, then your account will get suspended. Ouch! Do you want your account to get suspended? This will result in your website being inaccessible. You would lose a lot of customers if this happens. And of course, you would lose A LOT of the much-needed sales. Plus, you have to go through a lot (e.g. talking to FatCow’s representatives) just to get your account unsuspended. Whew! Too much for something called unlimited, right? 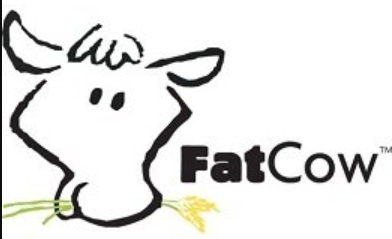 Unfortunately, we DO NOT RECOMMEND FatCow. They provide unlimited features on a lot. BUT, they lack the most important characteristics you have to look for in a hosting company. They lack an excellent customer support system. They lack consistent, above-average uptime. Plus, they do not provide an uptime guarantee. They lack above-average website loading speeds. Simply put, they lack reliability, speed, performance, and support – the four things you need in a web hosting company… we highly recommend looking elsewhere, have a looksy at our personal favorite web hosting companies.